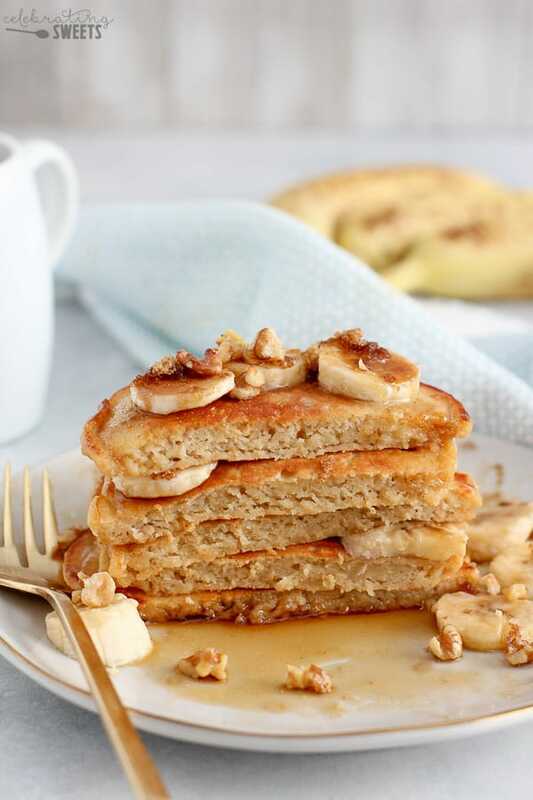 Tender and fluffy Banana Pancakes sweetened with brown sugar and flavored with vanilla. 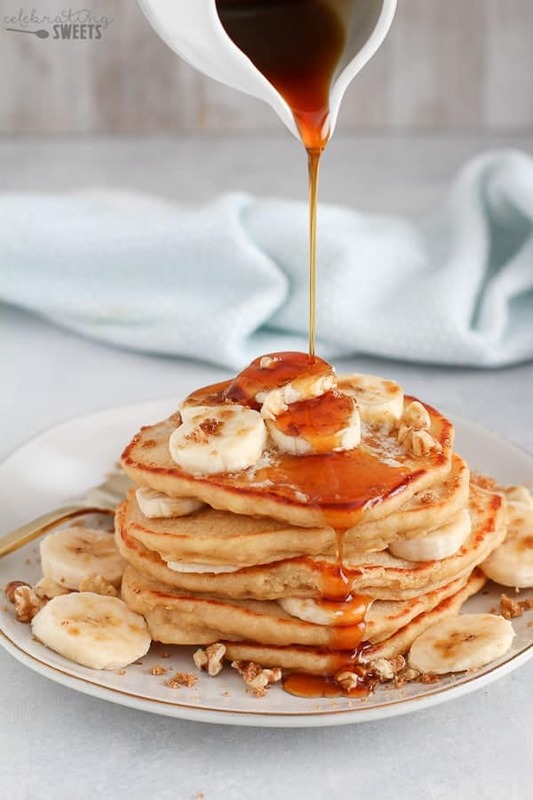 The best Banana Pancakes EVER! Put on your fuzziest slippers and brew a pot of coffee. We’re making Brown Sugar Banana Pancakes! 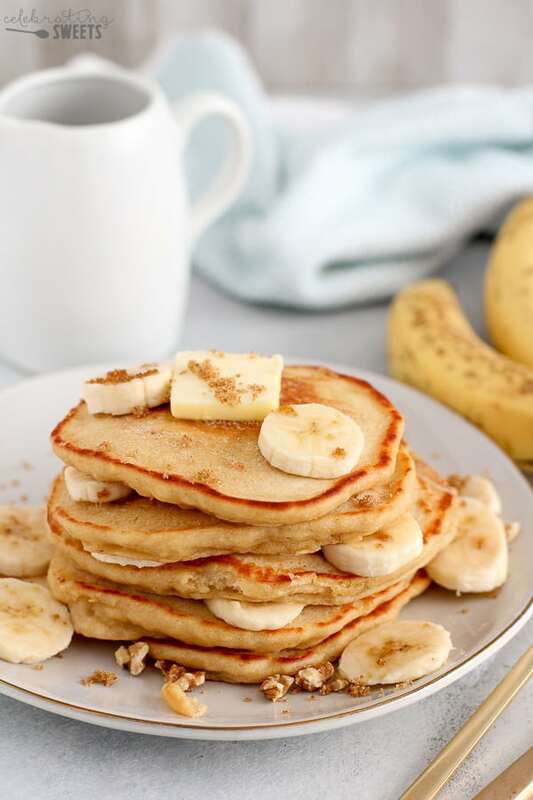 The cozy marriage of bananas, brown sugar and vanilla make these a warm and comforting way to start your day. Pssst… You can end your day with them, too. Breakfast for dinner is my fave! I first fell in the love with the combo of brown sugar and bananas when I created my Brown Sugar Banana French Toast. That recipe has been super popular, and I’ve been planning to turn those same flavors into pancakes. My friends at McCormick just gave me the final push that I needed. 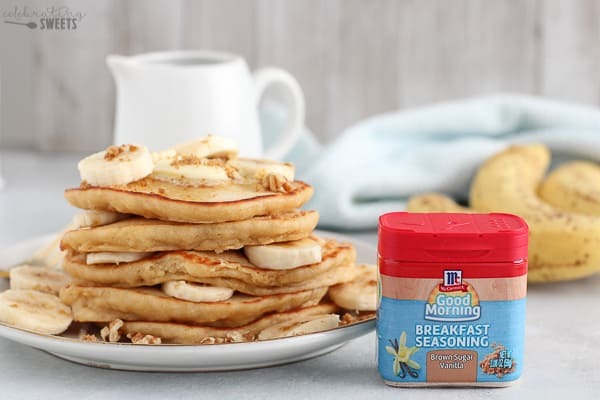 McCormick Good Morning Breakfast Seasonings sent me anxiously running to the kitchen to whip up these pancakes. McCormick Good Morning Breakfast Seasonings come in four fabulous flavors to make your mornings extra delicious. 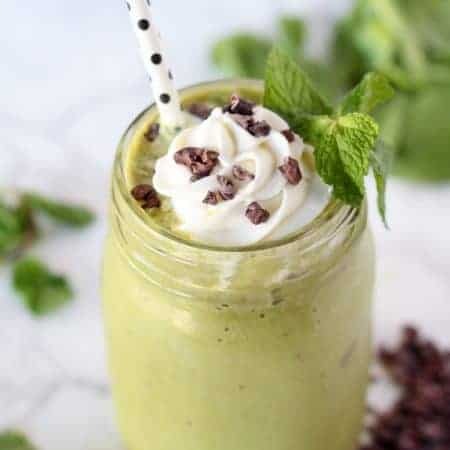 Get inspired to create delicious meals with sweet or savory breakfast seasonings that you shake on for an instant flavor upgrade. Mornings are fast, too fast. Between getting ready for your workday and preparing your kids for school, there isn’t much time to create the flavorful, fulfilling breakfast your family deserves. 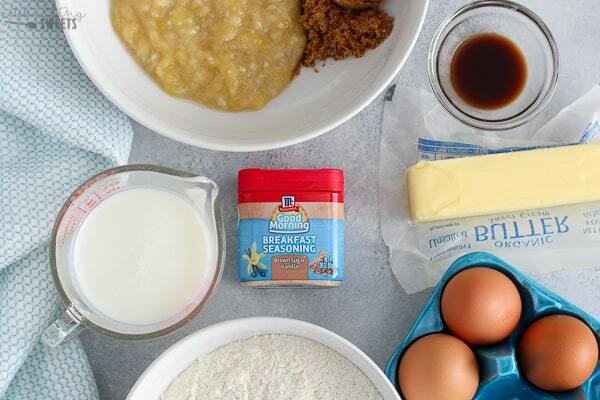 McCormick Good Morning breakfast is a break through line of products to help you do just that. 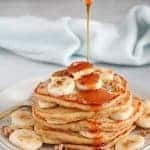 Tip: Make a big batch of pancakes on the weekend (you can double this recipe), and then reheat leftovers throughout the week for a quick and easy breakfast. If you need me I’ll be over here making (and eating) these pancakes everyday from now until forever. 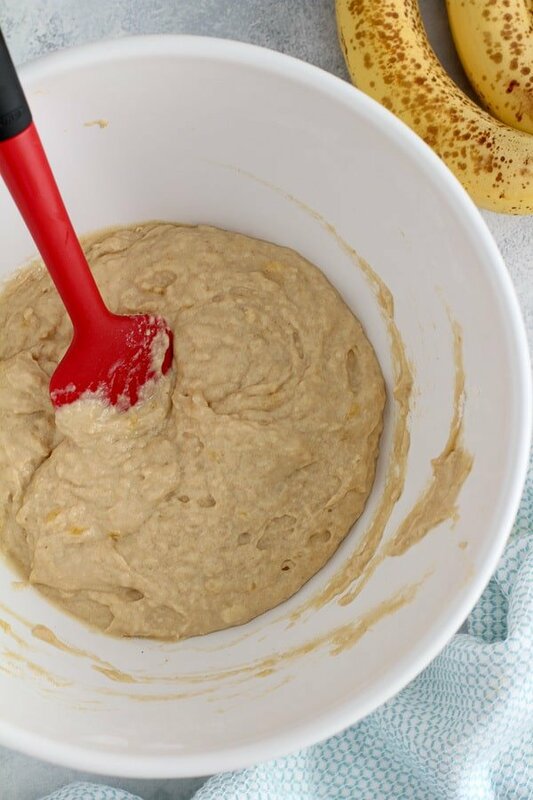 In a large bowl, combine, flour, baking powder, salt and Breakfast Seasoning. 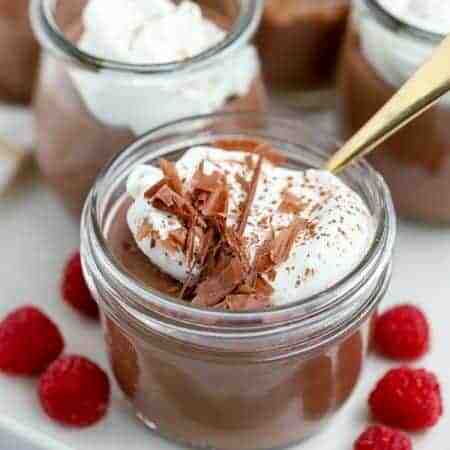 In a separate bowl, whisk brown sugar, mashed banana, butter, buttermilk, eggs and vanilla extract. Add the wet ingredients to the dry and stir with a rubber spatula until combined (the batter will be thick). Heat a griddle or large skillet over medium-low heat and grease with butter. Drop the batter in 1/3 to 1/2 cup portions onto the griddle, spread out the batter to form even circles. Cook until bubbles begin to form, then flip and continue cooking until cooked through (another couple minutes). Garnish the pancakes with items suggested. Hi, Alison. They came out earlier this year. They should be available at Walmart; I’m sorry that you weren’t able to find them. You can make this recipe without the seasoning, just add an extra tablespoon of brown sugar and extra 1/4 teaspoon vanilla extract. Enjoy! I found them on Amazon . I”l get the 4 pack with 4 different flavors have you tried the other ones yet? 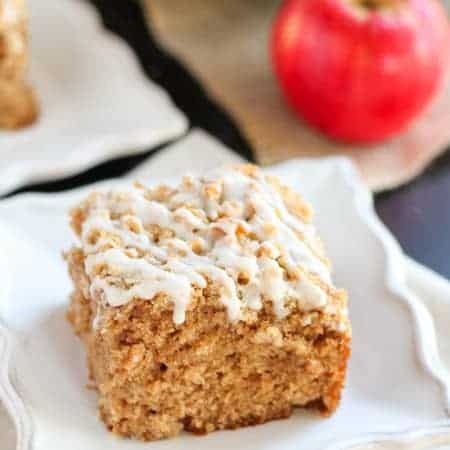 the apple cinnamon would be good in your recipe as well! . Have you tried the bell pepper good morning seasoning, that’d be good with some fajitas or r even a plain scrambled egg or an omelette.